Classic Bloomfield colonial with an outstanding great room addition overlooking meticulously landscaped private yard. Almost a half acre and one of the largest homes in the neighborhood with 3 full baths! Inviting brick foyer leads to living room with natural fireplace, hardwood floors, and tons of natural light. Large dining room off of eat in kitchen. Huge study opens to great room with natural fireplace, lots of windows, and door wall opening to private back yard with paver patio. Rare 5 bedroom floor plan has master suite, a bonus en suite bedroom with double closets, second master sized bedroom, and two additional bedrooms allowing for plenty of space to grow into. Neutral color hall bath and huge storage closet on second floor. First floor powder room Updates include 2013 roof, newer furnace and central air. 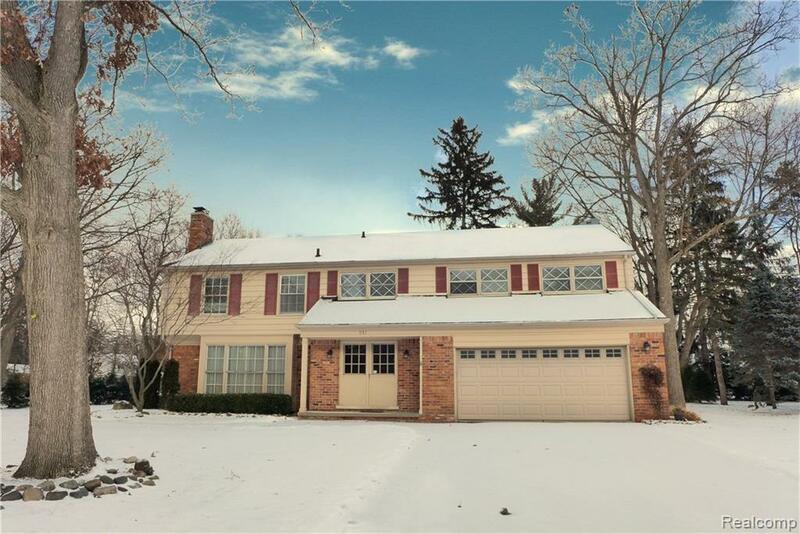 Amazing location provides award winning Bloomfield Hills schools, easy access to freeways and downtown Birmingham SEE LINK FOR 3D FLOOR PLAN TOUR!